'It is one life that we all have and every moment is to be celebrated' happens to be the motto of Sri Vari. This gallant Kalyana Mandapam was constructed by R.P.Periyasamy ( who has 45 years of experience in Civil Construction Industry ), with an intention of spreading positivity and happiness in the society. Sri Vari hosts one of the most spacious marriage halls in Erode that can host a total capacity to occupy over 1200 members. Suitable for grand weddings, receptions and other occasions that deserve a touch of heaven. Because we understand what it takes to make your day big and we empathize the hassle free experience you wish to get when celebrating your big day. With our dedicated team, our commitment is always to gift you with the best experience that you envision. 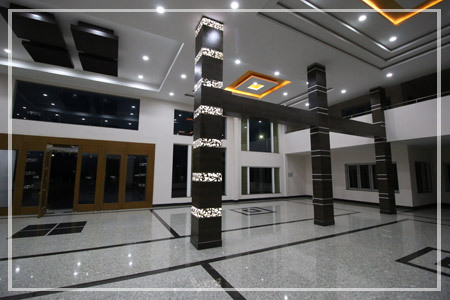 To be the best destination in Erode for celebrating life's happy occasions, with a perfect mix of tradition and modernity in the architecture, service and facilities.